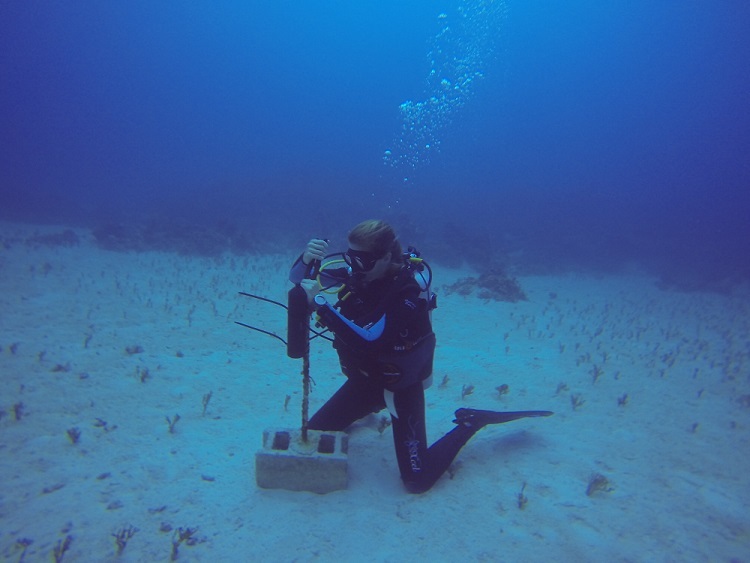 Georgie Burruss deploys a VEMCO receiver while on SCUBA. 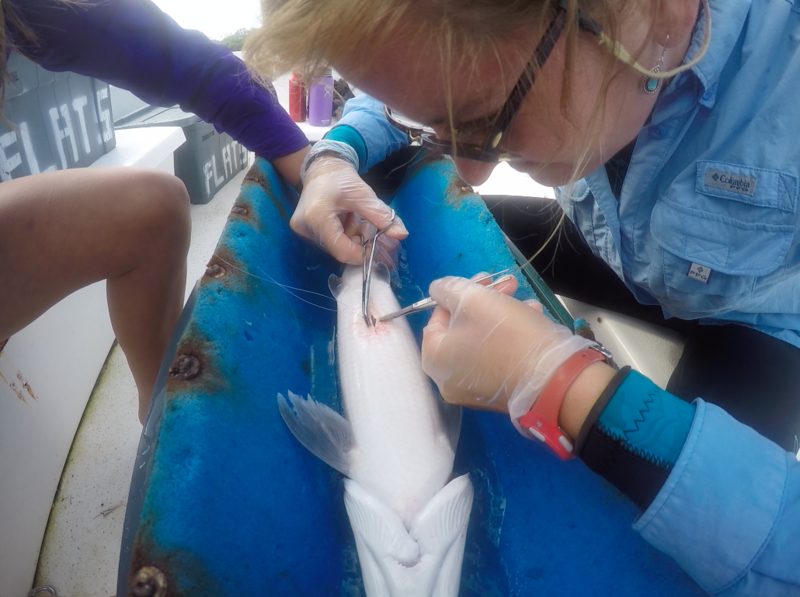 The transmitter is about to be implanted into the fish through a small incision in the body cavity. 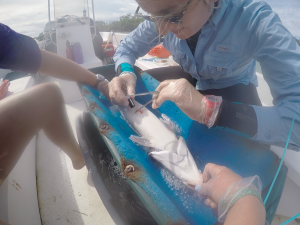 Georgie Burruss is suturing an anesthetized bonefish after implanting a transmitter into the fish. 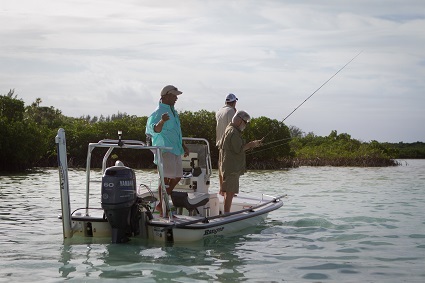 Denny Rankine assists the team in catching bonefish in Savannah Sound.